The chapter focuses on off-line communication using (not only) mobile devices where absence of direct communication increases the risk of misunderstanding and loss of time. Two principles that can lower this danger, the principle of charity and the principle of scaffolding, are presented first separately, and then in mutual relationship. The aim of this chapter is to show that charity and scaffolding are two (connected) stages of help to pupils. If the teacher applies the principle of charity, it enables him/her to understand pupils and/or discover their problems. Having detected the learners' misconceptions or problematic parts, he/she will be able to follow the pupils' thinking process and with the help of scaffolding advance the pupils' knowledge to a higher level. All the presented theoretical constructs are illustrated by examples from an on-line mathematical course for secondary pupils. The role of technological devices in developing the quality of pupils' participation in the course is documented. Without any doubt, the teacher-pupil communication is of central importance in any educational process. The very fast expansion of the use of technological devices (in all forms, especially of those connected to the Internet) in education brings about the need to focus on and study communication in this new environment. Classical communication models do not always reflect the dynamics of communication using mobile devices. 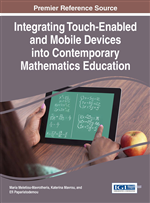 Technology facilitates new kind of communication and there is a need to examine more closely this instrumented discourse, how different forms of discourse are engendered by different forms of technology, and how this in turn is linked to new kinds of mathematical understandings. (Beaty & Geiger, 2010). The new learning environments represent new challenges and ask for modification and supplementation of classical models. It is not a face-to-face communication. Neither the teacher nor the pupils have the chance to use non-verbal means of communication – gestures, expressions or intonation. It is an off-line communication, the “dialogue” is not continuous. There are many disruptions and time delays. It is often very concise or abbreviated. Mobile devices rarely offer enough comfort to encourage writing long texts. Also writing of mathematics expressions may be difficult. The listed aspects clearly show that off-line communication deserves special attention. What is very important is the effort to understand the individual utterances and the teacher’s provision of effective support and help. The following text introduces two basic theoretical principles that are modified for the unique environment of an off-line discussion. These are the principle of charity and of scaffolding. Both these principles are related to each other. Both principles will be introduced in detail. Their theoretical underpinning will be illustrated by examples to give the reader more insight. Most of the illustrations are taken from experiments conducted within the frame of the Talnet project. Talnet (see e.g. http://en.wikipedia.org/wiki/Talnet) is a project for gifted children and teenagers interested in natural sciences and technologies, as well as for their teachers from all country. One of the authors of this paper is involved in design and implementation of courses of mathematics. The examples are selected from the e-learning course Mathematics III – Combinatory games, which has been implemented within the frame of the project Talnet several times. The course is run for low numbers of participants (5-10 pupils). The content of the course is combinatorial game theory (see Berlekamp, Conway, & Guy, 2001; Nowakowski, 1998). The course is divided into two parts. In the first part the pupils are introduced to different variants of the game NIM (see the Appendix); the aim of this activity is to guide the pupils to discovery of the winning strategy of this game (see Bouton, 1901). In the second part, the pupils are introduced to the game Hackenbush and their goal is to assess different positions (see Conway, 1976). The tuition is in the form of discussions in which pupils participate both using a computer or/and mobile devices. The TALNET courses run in the environment IBM Lotus learning management system in which study materials are available to pupils, problems are set and discussions organized. The selected games (e.g. NIM) are available in the form of interactive applications. The principles described in the chapter are not tied to one e-learning environment. The authors work also in other e-learning systems (Microsoft Class Server and LMS Moodle) and apply the same principles. The Talnet course was selected because work with a small group of pupils (in this project usually 5) enables much more intensive communication between the teacher and the pupils than in a traditional classroom, which allows us illustrate the used principles more easily.